A passion for wood, a love of craftsmanship, customer satisfaction, respect for our heritage and the environment: That is our motto! We like to work in a climate of mutual trust, are available at all times to advise and to listen in order to cater for modern as well special requests. 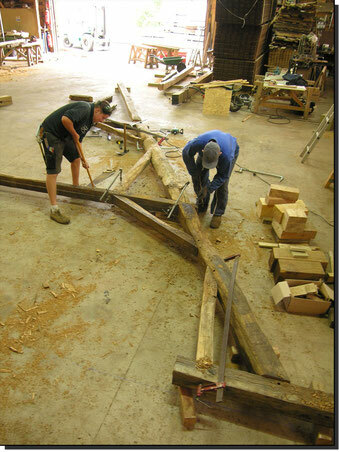 Our traditional wooden structure company was created in 1986 with only two employees. 10 years later, having taken over another traditional wood joinery company, we had 15 employees and our business continued to grow. Today, with a staff of 20 people, we cover the whole of France and our savoir-faire continues to meet the needs of all our customers.